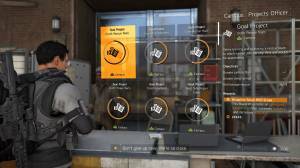 In The Division 2 Projects are side activities that you can accomplish to recieve in-game rewards such as blueprints, settlement upgrades and Experience points. Projects are worthwhile doing as they propel you forward in the game when you complete them. There are different Projects in The Division 2 and each has a specific objective. This Projects Guide will tell you where to get Projects, how to complete them, and where to claim your reward. As you progress through the story in The Division 2 you will unlock Projects, this will happen when you level up your Settlement, from the Safe Houses you discover, and from your Clan. When you reach the endgame you will get repeatable Projects from the Base of Operations, the Dark Zone, and your Settlement. The rewards you will recieve from completing Projects will depend on when and where you get them. You will discover that the Projects that you pick up early and are easy to complete won't give as much Experience as the end game ones.You can check a Projects objectives and your progression towards its completion by opening your map, and tabbing over to the 'Project' section. You will find that to complete most Projects you will need to accquire resources, specific types of equipment, and complete certain activities. Safe House Projects for example tend to ask you to find SHD Tech caches, supply Control Points, and complete activities in their district whereas a Dark Zone Project will task you with opening chests in a specific Dark Zone. You will find that with some Projects you will need to donate specific pieces of gear, if you do not have it you have the option to deconstruct or sell your remaining gear to meet the requirement. You can donate gear for any Project at the Project stalls in the Base of Operations, the Theater, or the Campus. Safe House projects are completed instantly, you will be given a bounty to chase down that will be in the district of the safe house. Other Projects such as those for Campus, Theater and Base of Operations will need you to return to where the Project was issued to collect your reward. This is done by going to the location's Project desk and talking to the Project manager. Check out our What are Settlements page to learn more about these safe havens where civilians have banded together to support and protect one another from the dangers in D.C.